The University of Virginia School of Medicine and School of Nursing have each received Health Professions Higher Education Excellence in Diversity Awards from INSIGHT Into Diversity magazine, which covers diversity in higher education. The School of Medicine earned the award for the seventh consecutive year; this was the first time the Nursing School was honored. The two UVA schools are among 35 health professions schools nationwide to receive 2018 HEED Awards. 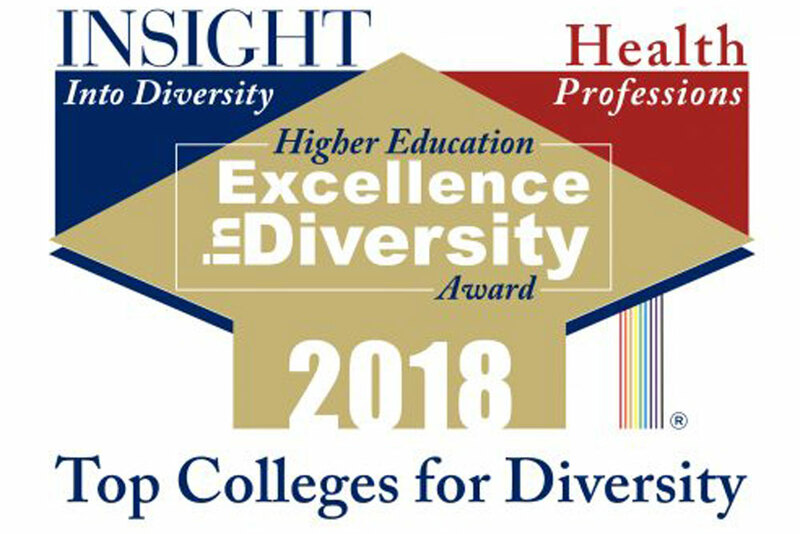 “The Health Professions HEED Award process consists of a comprehensive and rigorous application that includes questions relating to the recruitment and retention of students and employees – and best practices for both; continued leadership support for diversity; and other aspects of campus diversity and inclusion,” Lenore Pearlstein, INSIGHT Into Diversity’s publisher, said. The School of Medicine supports a range of diversity initiatives. They include a Summer Medical Leadership Program to prepare college undergraduates from underrepresented groups for medical school and leadership roles in medicine, as well as partnerships with community groups to improve access to care for local Latino residents through the Latino Health Initiative. Over the past year, diversity and inclusion efforts at the Medical School – and across the UVA Health System – have focused on how to respond when health care providers experience prejudice or bigotry while at work. “We have a duty to take care of people regardless of beliefs, but we have a duty to everyone who works here, and to our other patients, to create an environment that is respectful,” said Dr. Margaret Plews-Ogan, a School of Medicine faculty member who helped form the Committee on Responding to Discriminatory Behavior. The committee includes more than 30 faculty and staff members, medical students and medical residents. Along with messaging throughout the Health System that reflects the institution’s commitment to inclusion, the committee developed training to help team members respond when they experience or witness acts of prejudice or bigotry. Complementing online training available to all team members, the committee created a 90-minute workshop for faculty, supervisors and managers that included short films based on events experienced by care providers and discussions of how to respond. The workshops began earlier this year in the Department of Medicine and will be conducted throughout the Health System in the next year. Since establishing the Initiative on Diversity, Inclusion and Excellence Achievement, or IDEA, in 2014, the Nursing School has shifted its recruitment, admissions and retention strategies to welcome more underrepresented and first-generation applicants, established affinity groups for students of color, initiated expansive diversity training for faculty and staff, and urged professors to incorporate diverse perspectives and inclusive content into their courses. While faculty and graduate teaching assistants attend trainings across a variety of diversity-related topics, all nursing students also take part in cultural humility training and a plethora of regular activities – from classes, simulations, lectures and other experiential learning opportunities – that drive the message of inclusivity home. Nearly 100 percent of students across all racial and ethnic group categories graduate from UVA Nursing’s many programs, and a growing array of minority and other students underrepresented in nursing are applying and accepting admission at UVA. For 2018, nearly a third of enrolled students are from groups underrepresented in nursing, and more than 17 percent are male. The school has also declared the recruitment and retention of faculty members from diverse backgrounds a key priority. This fall, the Nursing School’s senior leaders took part in an eight-week equity institute delivered by the Center for Race and Equity at the University of Southern California. Through the academic year, those lessons will be shared with the balance of faculty and staff through regular training sessions and equity projects developed in the institute. 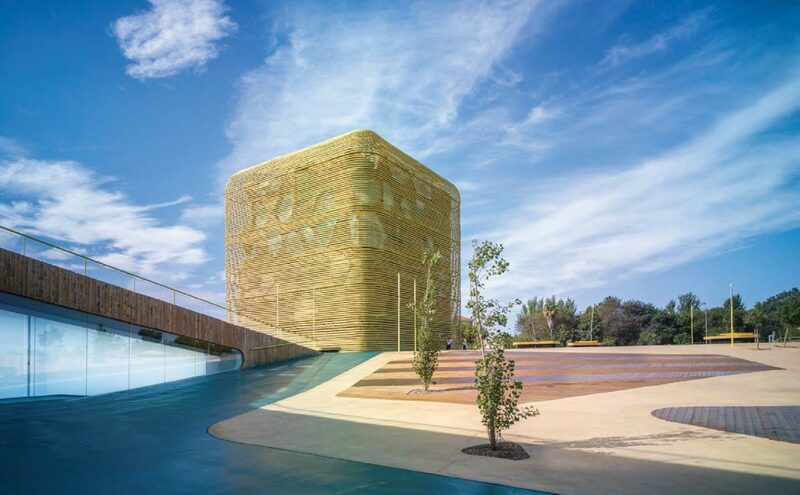 School of Architecture professors Luis Pancorbo and Inés Martín Robles, through their Madrid-based firm Pancorbo-de Villar-Chacon-Martín Robles, have won the Architecture MasterPrize in the “Cultural Building” category for their design of the Vegas Altas Congress Center, located in Badajoz, Spain. The winners were selected by a panel of architects, academics and industry experts. The Architecture MasterPrize was previously known as the American Architectural Prize, established with a mission to advance the appreciation of quality architectural design worldwide. It is the latest of many significant international awards Pancorbo and Robles have won for this project. Heilman teaches “Promotions,” a yearlong course focusing on market research and advertising strategy. Students annually participate in the National Student Advertising Competition, and her UVA teams have thrice placed in the top three, including a first-place finish in 2016. Former U.S. 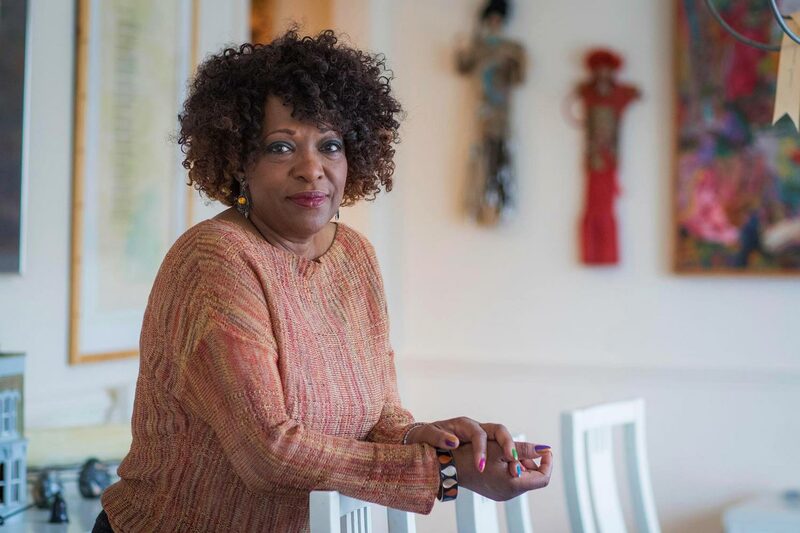 Poet Laureate Rita Dove, Commonwealth Professor of English, has added three more honors to her extensive list of plaudits. In November, she received the 2018 Kenyon Review Award for Literary Achievement. The prize honors careers of extraordinary literary achievement, recognizing writers whose influence and importance have shaped the American literary landscape. It celebrates writers for the courage of their vision, their unparalleled imagination and for the beauty of their art. Previous recipients include Elie Weisel (2012), Louise Erdrich (2009), Margaret Atwood (2007), Seamus Heaney (2004) and Joyce Carol Oates (2003). In October, Dove – an Akron, Ohio native – received the 2018 Cleveland Arts Prize-Lifetime Achievement Award. The Cleveland Arts Prize has recognized and honored artistic excellence in northeast Ohio for nearly 60 years, and awardees represent the best and most talented artists in the region. Previous recipients include Russell Atkins (2017), Adrienne Kennedy (1990), Toni Morrison (1978) and Robert Wallace (1969). And in September, Dove was presented with the Alice Dunbar Nelson Award for Literary Achievements at the inaugural Great Lakes Black Authors Expo and Writers Conference, also in Cleveland. The award is named for one of the prominent African-Americans involved in the artistic flourishing of the Harlem Renaissance. Derrick Alridge, a professor in the Curry School of Education and Human Development, was elected president of the History of Education Society at the organization’s annual meeting, held in November in Albuquerque, New Mexico. The History of Education Society is an international scholarly society “devoted to promoting and teaching the history of education across institutions.” As president, Alridge will be responsible for leading the society over the next 12 months and will deliver his presidential address at next year’s conference in Columbus, Ohio. Alridge is the program coordinator for Curry’s Social Foundations in Education program and directs the recently created Center for Race and Public Education in the South. He is the founder and director of Teachers in the Movement, an oral history project that examines the ideas and pedagogy of teachers in the civil rights movement. 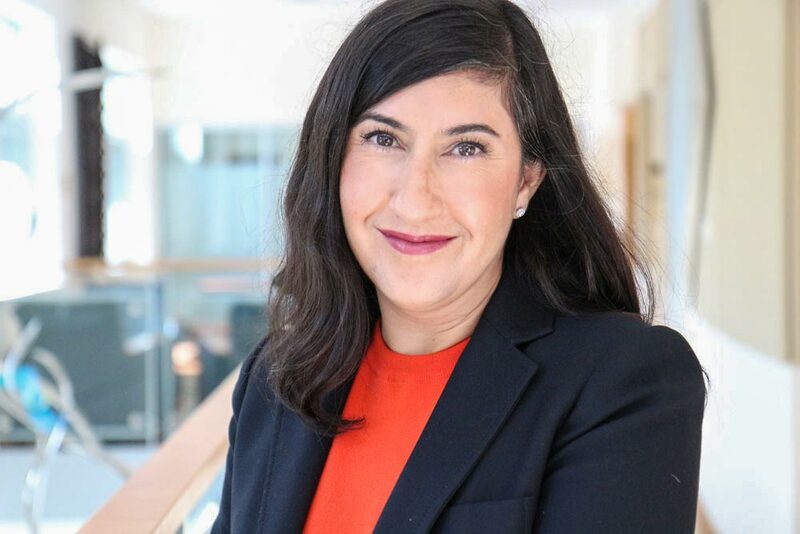 From a national pool of 75 applicants, the American Association of Colleges of Nursing has selected Lourdes Carhuapoma, a doctoral student in UVA’s School of Nursing, as one of six 2019 Nurse Faculty Scholars. The Nurse Faculty Scholar program – which offers Doctor of Nursing Practice and Ph.D. in Nursing students $18,000 in funding over two years – aims to increase diversity in nursing academia. Carhuapoma, a first-generation college student and the daughter of Cuban immigrants, is one of just 60 such scholars since the program’s inception. She plans to become a nurse researcher, professor and mentor to a new generation of nurses. Prior to her arrival at UVA, Carhuapoma worked with critically ill neurological and neurosurgical patients and their families at George Washington University Hospital and Johns Hopkins Hospital, and taught acute care nurse practitioner students at Georgetown University. Carhuapoma’s scholarship focuses on end-of-life care, a passion that stemmed from observations made in her own practice. While “critical care is designed to save lives, many people die in these environments, and there are very few resources for patients and families around end-of-life care. It’s clear to me that we can do better” for patients and families who are facing death, she said. Carhuapoma’s research aims to provide support to surrogate decision-makers of patients with neurological illness or injuries, a group that’s at high risk for decisional regret and poor mental health outcomes. She’s also energized by her future role as a mentor-scholar. Joel Baumgart, an alumnus who is currently a senior research program officer in UVA’s Office of the Vice President for Research, and Olujimi Ajijola, who received a B.A. from UVA and is an assistant professor in the departments of Medicine-Cardiology and Molecular, Cellular & Integrative Physiology at the University of California, Los Angeles, were selected for the inaugural group. A dozen UVA students – including eight from the Frank Batten School of Leadership and Public Policy – have been selected as finalists to participate in the Class of 2019 Presidential Management Fellows program, the federal government’s most prestigious fellowship for graduate students entering the federal workforce. UVA’s 12 finalists are the most of any institution in Virginia. The Batten students are Kathryn L. Babbin (seeking a fellowship in policy analysis), Ellen B. Beahm (policy analysis), Conor Boyle (policy analysis), Layla A. Bryant (policy analysis), Amy E. Dalrymple (policy analysis), Matthew T. Hensell (public administration), Shea L. Kearns (policy analysis) and Joshua A. Margulies (policy analysis). From other programs are Elizabeth Hoffman (biology/biological sciences), Deborah Luzader (microbiology), Ellen L. Mintz (unspecified) and Rena W. Yuan (statistics). UVA School of Nursing professor Dr. Julie Haizlip, a physician specializing in pediatrics who directs the school’s interprofessional outreach, was named a distinguished fellow of the National Academies of Practice in Medicine. She will be inducted at a ceremony to be held in early March in Pentagon City. The National Academies of Practice was established in 1981 to advise government bodies on health care issues and systems. Fellows are elected by peers from across 14 different health professions to join the only interprofessional group of health care practitioners and scholars dedicated to the support of affordable, accessible, coordinated quality care for all. Haizlip’s scholarship focuses on positive psychology, appreciative practice and interprofessional learning and teaching. Currently researching the concept of “mattering” – the perception that one is significant in the lives of others and has an impact in the world – in health care with colleagues at UVA’s Darden School of Business, she is interested in how the presence (and absence) of mattering impacts practice, personal well-being, professional longevity and burnout, especially among physicians and nurses. As the Center for ASPIRE’s co-director and a clinical professor of nursing, Haizlip educates students and faculty to improve their teamwork skills and cohesion when operating within health care teams. The Center for ASPIRE, or Academic Strategic Partnerships for Interprofessional Research and Education, researches and supports the development, implementation and evaluation of educational and clinical programs that train students, faculty and clinicians to deliver safe, high-quality, team-based patient care. She is also among the core planners of the center’s twice-annual Train-the-Trainer Conference, initially funded by the Macy Foundation and the Center for Interprofessional Learning and Practice, for which she’s developed a host of novel workshops and simulations to engage attendees. 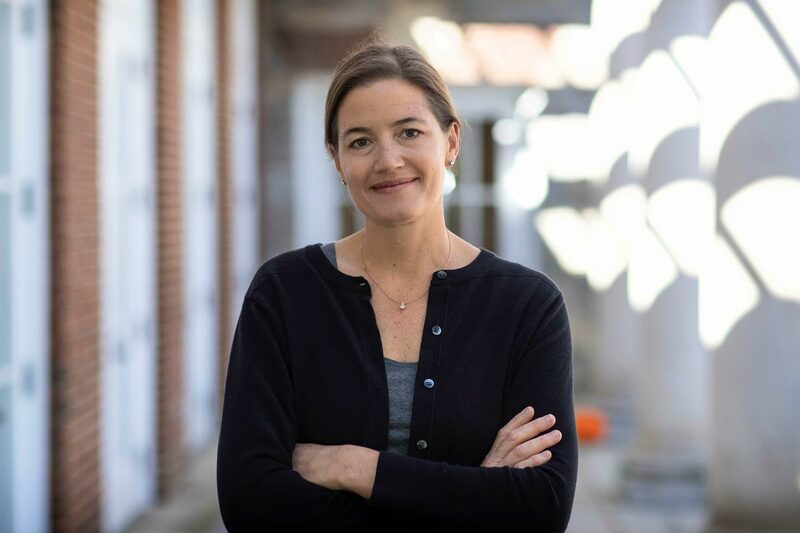 Haizlip also directs UVA’s Center for Appreciative Practice, which organizes regular workshops and lecture series, including the Wisdom & Well-Being lecture series and UVA’s offering of Schwartz Center Rounds, emphasizing compassion and the human connection between professional caregivers and patients. She has written books, chapters and articles on appreciative practice, interprofessional learning and positive psychology. Professors John Duffy and Michael Livermore of the School of Law have been appointed public members of the Administrative Conference of the United States. The conference is an independent federal agency charged with convening experts to recommend improvements to administrative processes and procedures. The Administrative Conference of the United States has adopted more than 250 statements and recommendations – directed to all branches of government, but largely with federal agencies – to improve agency decision-making, promote regulatory oversight and save costs. Its 150 volunteers are drawn from more than 70 federal agencies, as well as academia and private legal practice. The organization currently has 34 public members. Duffy is the Samuel H. McCoy II Professor of Law and Elizabeth D. and Richard A. Merrill Professor of Law. In the field of intellectual property, Duffy has been identified as one of the 25 most influential people in the nation by The American Lawyer and one of the 50 most influential people in the world by the U.K. publication Managing Intellectual Property. In the field of administrative law, Duffy is a past recipient of the Annual Scholarship Award, conferred by the American Bar Association’s Section on Administrative Law and Regulatory Practice for the best piece of scholarship in the year. Livermore is a professor of law whose research focuses on environmental law, regulation, bureaucratic oversight and the computational analysis of law. He is a leading expert on cost-benefit analysis and regulatory review, and frequently collaborates on interdisciplinary projects with researchers in other academic fields, including economics, computer science and neurology. Prior to joining the faculty in 2013, Livermore was the founding executive director of the Institute for Policy Integrity at New York University School of Law. 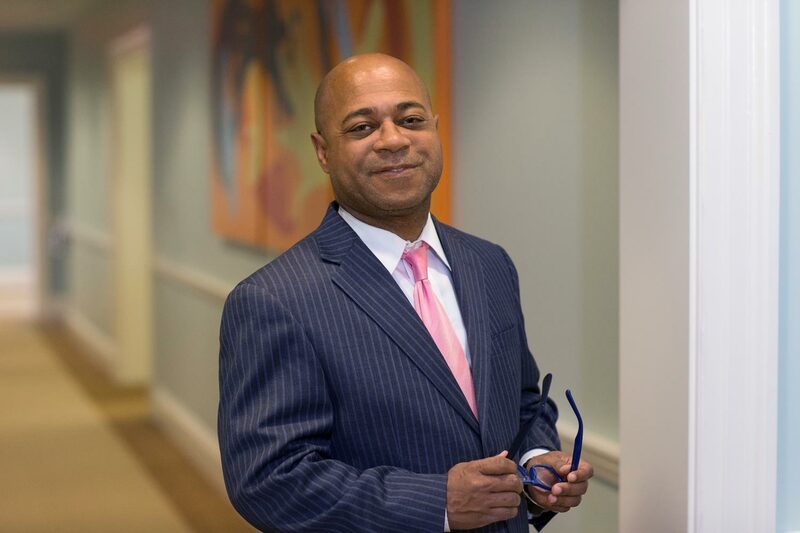 Professor Andrew Vollmer, director of UVA Law’s John W. Glynn Jr. Law & Business Program, is currently serving as an Administrative Conference of the United States public member. 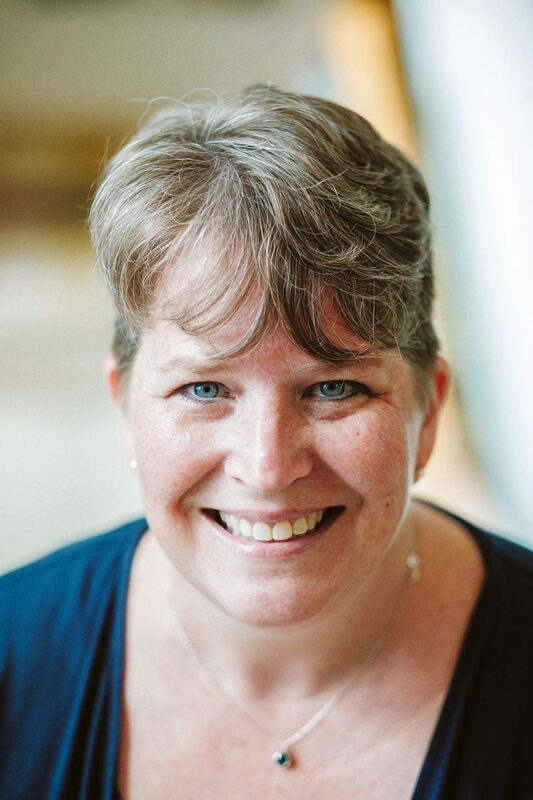 School of Law professor Maureen “Molly” Brady is a co-winner of the 2019 Scholarly Papers Competition, sponsored by the Association of American Law Schools. Her paper, “The Forgotten History of Metes and Bounds,” forthcoming in the Yale Law Journal, explores the social and legal context surrounding earlier metes and bounds systems and the important role that nonstandardized property can play in stimulating growth. “Metes and bounds” is a method of describing land or real estate that uses physical features of the local geography, along with directions and distances, to define and describe boundaries. James Nelson, a 2009 UVA Law alumnus and an assistant professor of law at the University of Houston Law Center, also won for his paper, “Corporate Disestablishment,” forthcoming in the Virginia Law Review. The competition, in its 34th year, is open to law faculty who have been teaching for five years or fewer. There were 55 entries this year. The award will be presented in January during the AALS Annual Meeting in New Orleans. As winners, Brady and Nelson were invited to serve on the Scholarly Papers selection committee in 2020.